Solarfeast – featured Chris Cockrell (Kyuss, Vic Dumonte), Mike (Desertt) Moracha, Nick Nava with a rotating cast of drummers out of the desert rock hall of fame including: John Hall, Brant Bjork, Hugo Chavez and Tony Tornay. 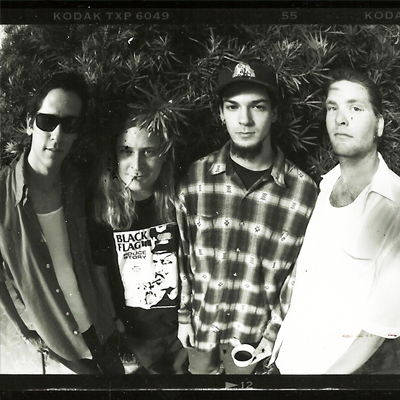 Founded in ’91-/92 through late ’95 the band released a 7″ called Acid and Gasoline, and a full length entitled Gossamer on Brant Bjork’s label, El Camino. Moracha and Nava moved to the Bay area and founded the heavy psyche rock band Hornss.